The Junior Service League of Oklahoma City was founded in March 1927, and affiliated with the Association of Junior Leagues of America in 1928 to become the Junior League of Oklahoma City. 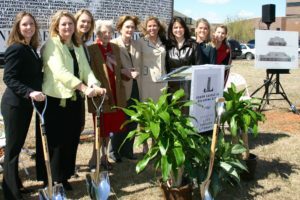 The Junior League of Oklahoma City enjoys a proud and rich history. The League has started or worked with a majority of community projects that continue to serve Oklahoma City. We have trained women who serve on community boards and in local and national leadership. These women credit their leadership abilities to the training they received in the League. The result of 87 years of local women in League service is countless lives touched, enriched and empowered. Two Sustaining members of the Junior League of Oklahoma City are recognized in the spring of each year for their service to the Oklahoma City community. Nominations are made by JLOC members and a recognition event is given in the awardees’ honor. This event is open to the public, and our Provisional, Active, and Sustaining members.